An outdoor lightweight and compact portable LP Gas grill with efficient auto ignition stainless steel burner, easy clean removable grill and folding legs for storage. 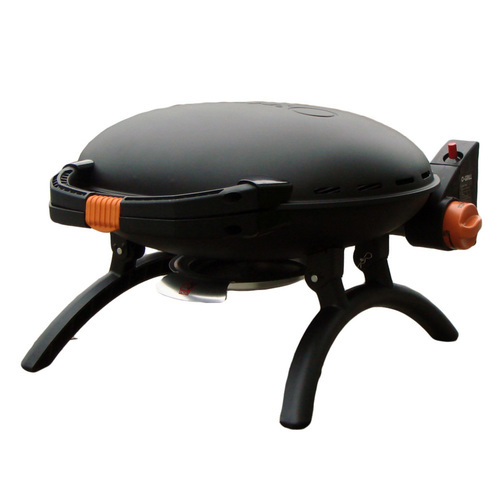 The Iroda O-Grill 500 is a lightweight and compact portable LP Gas grill with efficient auto ignition stainless steel burner, easy clean removable grill and folding legs for storage. 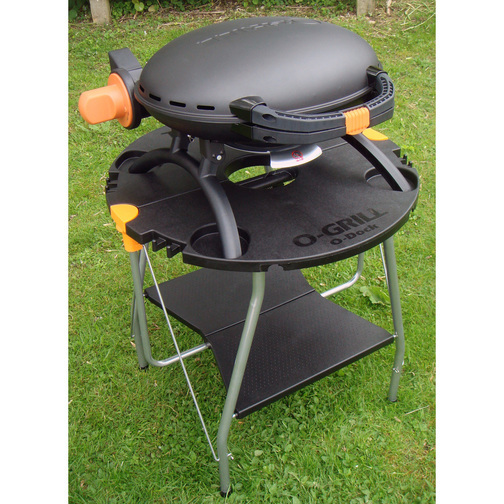 Whether you are looking to cook outside in the garden or on the banks of the river the O-Grill portable grill provides hassle free outdoor cooking. Compact design, complete with folding feet for easier storage. Weighs less than 6kg so extremely portable. 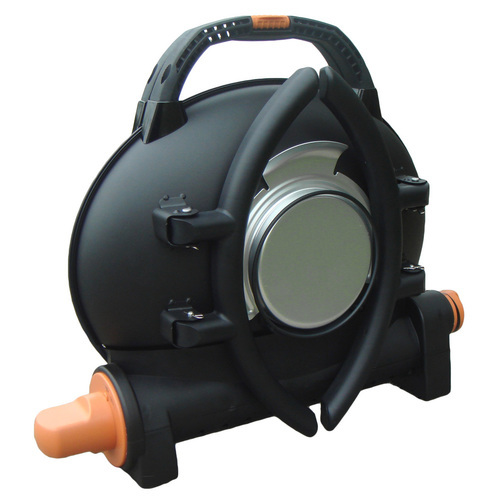 With the lid shut an ergonomic carry handle allows for moving with ease. Complete with an auto ignition circular stainless steel burner for more even cooking. 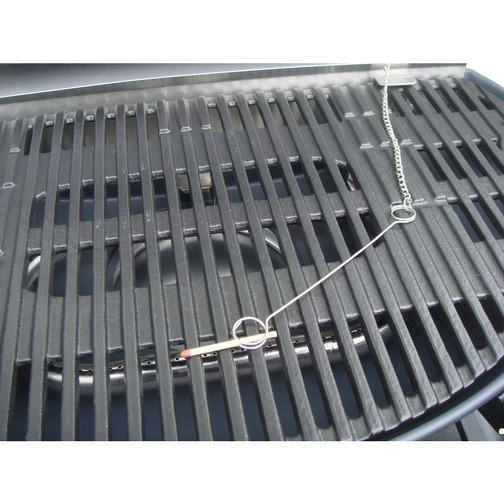 The large, efficient grill plate (1065cm²) is removable so that it is easy to clean. 95mm (3 3/4") internal cooking height, if you need a bigger grill the Iroda O-Grill 900T offers (155mm / 6") of height. Runs on either Propane or Butane liquid gas, from bottles such as Calor Gas. 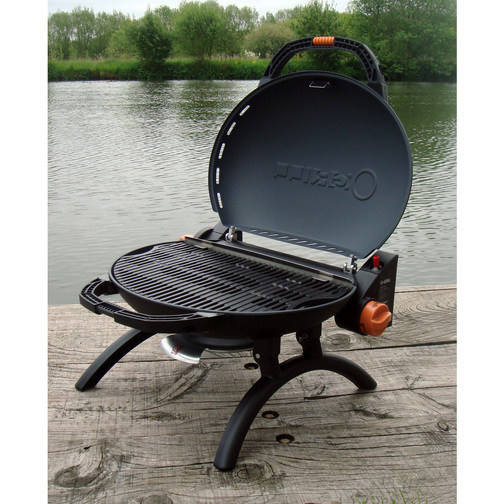 Whether you are out camping and require an outdoor camping stove or grill, on the boat cooking on the river bank with an outdoor barbecue or in the garden at home and require a garden BBQ, then this portable LPG grill may be the answer? With the folding legs and storage/carry bag (sold separately at Sheridan Marine) you can have peace of mind that a well cooked alfresco meal is not far away and, when you're done eating, cleaning and storage of the grill is easy. Simply kept in the shed, in the garden or a utility room at home, this compact outdoor grill is a fast and easy way of having that impromptu garden BBQ! Your O-Grill outdoor gas grill is only the beginning! To make things easier and more enjoyable you can select from two O-Grill folding stands which allow you to raise the portable grill off the ground to a more comfortable standing height. 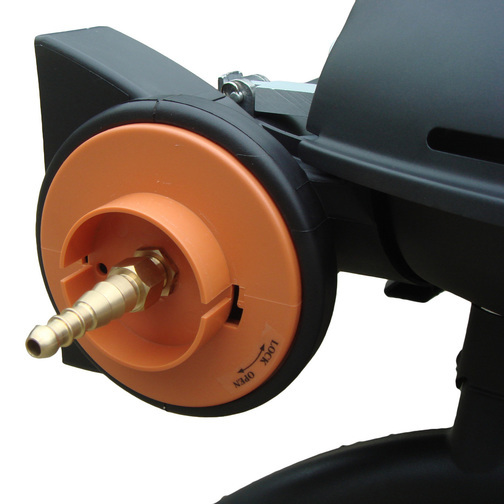 The O-Grill O-Dock and O-Dock Lite provide a sturdy base for the O-Grill legs whilst also providing sturdy ground support. 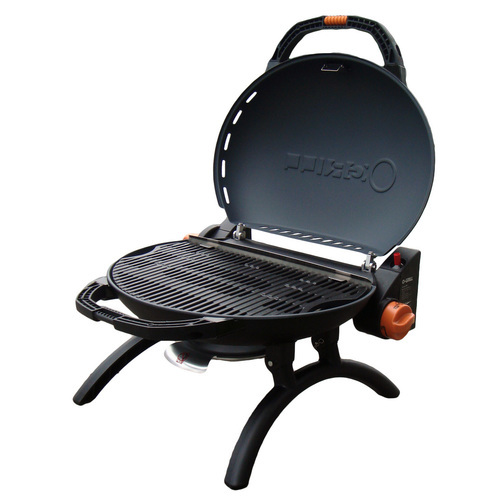 Alternatively, use the O-Grill on the floor for a more intimate atmosphere! The O-Bag is also a convenient extra. The fabric bag is big enough to cover the O-Grill whilst leaving space for the handle of the grill to pop out of the top, helping you move the grill around. The carry bag also has carry straps, an accessories pocket and a wide opening zipped side so that covering the grill is easier. 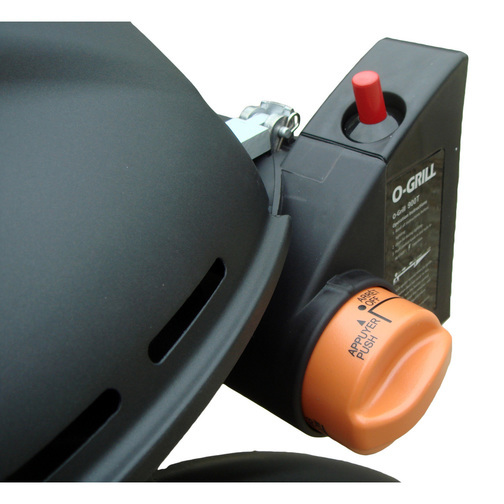 The O-Grill 500 can be connected up to Liquid Petroleum Gas (LPG), either Butane or Propane, much like the well known Calor Gas bottles. 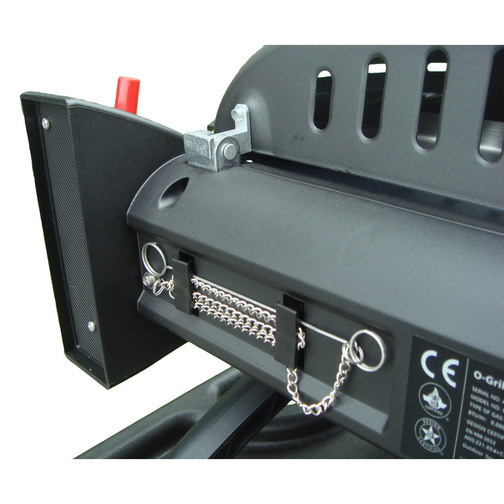 The O-Grills feature a push on nozzle on one side of the unit. On the other side of the grill there is the auto ignition switch and the temperature setting dial.